It always amazes me how quickly time passes around the holiday season. It all seems to go by in a blur! While there can be a lot of added stress this time of year when it comes to gift giving, I can help you out if you have little ones at home with gifts that will be sure to please – new games from Wonder Forge that combine family fun and learning with some of their favorite characters! * The Peanuts Movie Snoopy Flying Ace Game (Ages 4+, MSRP $14.99) – who doesn’t love Snoopy?? My boys are big fans and love everything to do with the Peanuts gang. This game is really fun and both of my boys love the spinning action from Snoopy. Both of my boys were able to pick up the game easily and this is tops on their list to play every game night. It’s fast-paced and requires matching ability – really keeps the kids on their toes! * Star Wars The Force Awakens™ Star Destroyer Strike Game (Ages 6+, MSRP $24.99) – with the new movie scheduled to come out soon, my boys are excited about all things Stars Wars. This is a pretty neat game that was more suited for my older son who’s 7, but my little guy was into it too. This game has a cool set-up that really takes ordinary board games to another level. 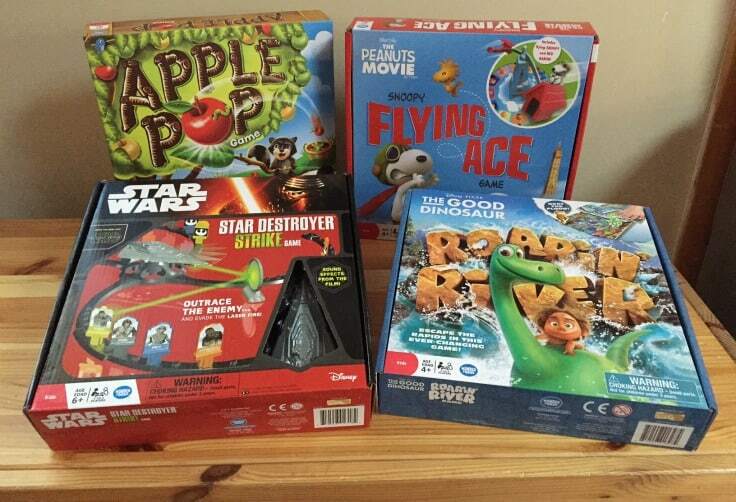 * Apple Pop Game (Ages 4+, MSRP $14.99) – this one is great for the pre-k crowd. Interactive and fun, this game requires physical and mental skill to win. 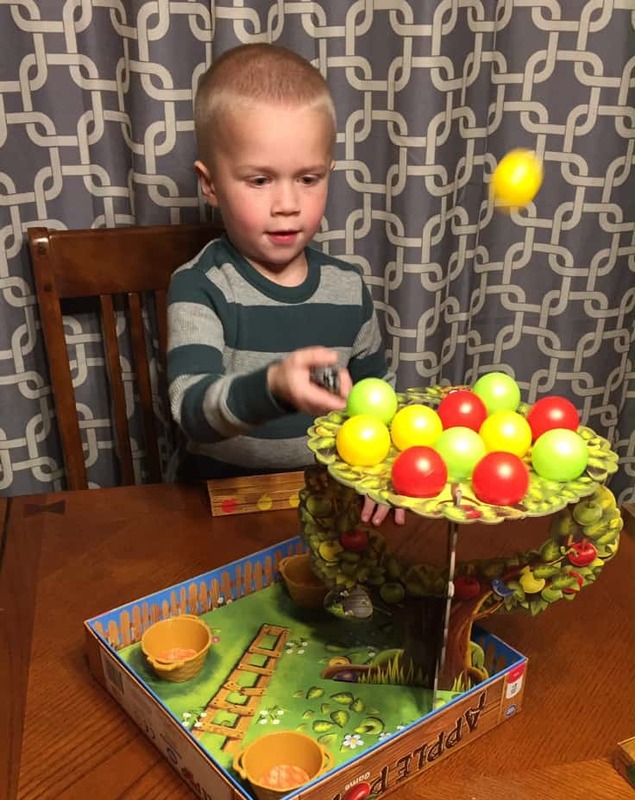 Both of my boys couldn’t contain their giggles as they launched apples from the tree of this game and chased them around the room when they tapped them just a little too hard! 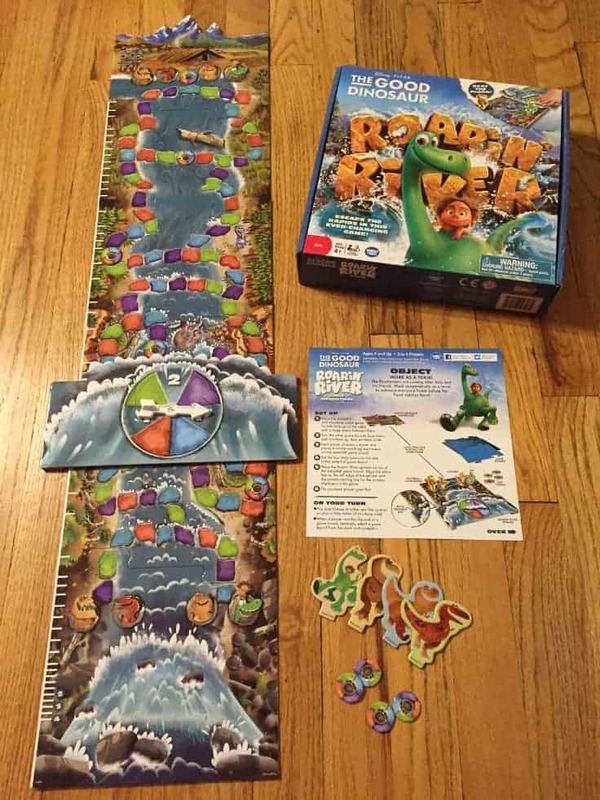 * Disney Pixar Good Dinosaur Roarin’ River Game (Ages 4+, MSRP $14.99) – this is another movie on my boys “must see” list. It looks like a movie I’ll enjoy too. This is a game that has players work together to help Arlo and his friends escape the flooding river. I like these types of games as they promote teamwork (which can be tough for siblings some times!). 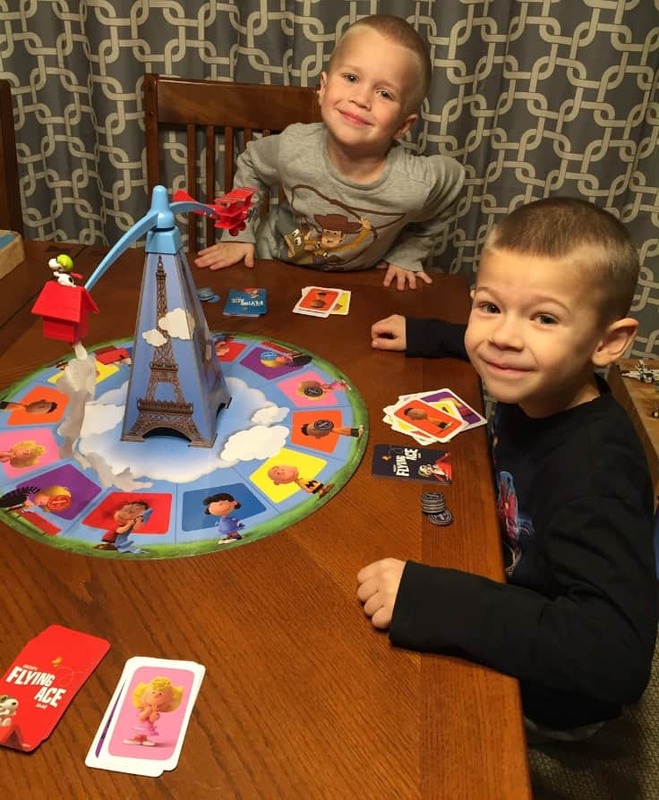 What I love most about the games Wonder Forge brings to market is that they are quality games that really focus on fun and family – and they do a great job of incorporating beloved characters into their fun and educational games. These are games that we’ll be able to play for years to come. In addition to the titles Wonder Forge sent me for review, they also have some other great Star Wars and Disney games out just in time for the gift giving season. Check out their website to see everything they have to offer and where you can buy all these neat games. Does My Family Really Need a Budget? My daughter would enjoy playing with the Enchanted Cupcake Party Game. She loves pretending to bake. I like the disney Eye found it game. It looks like a fun one for my family. I’d also like to play the Star Wars Rebel Missions game. My daughter would love to have the Disney Eye Found It Game! I like the Disney Eye Found It Game!